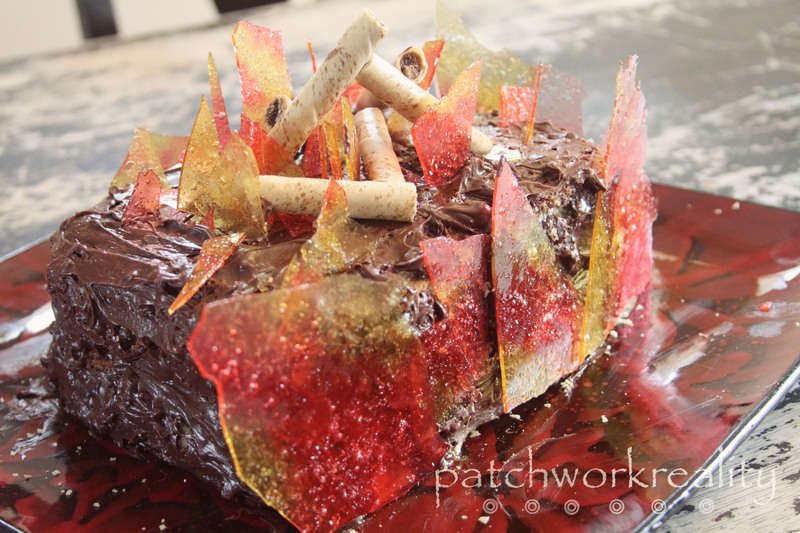 This Cake is on Fi-yah!! 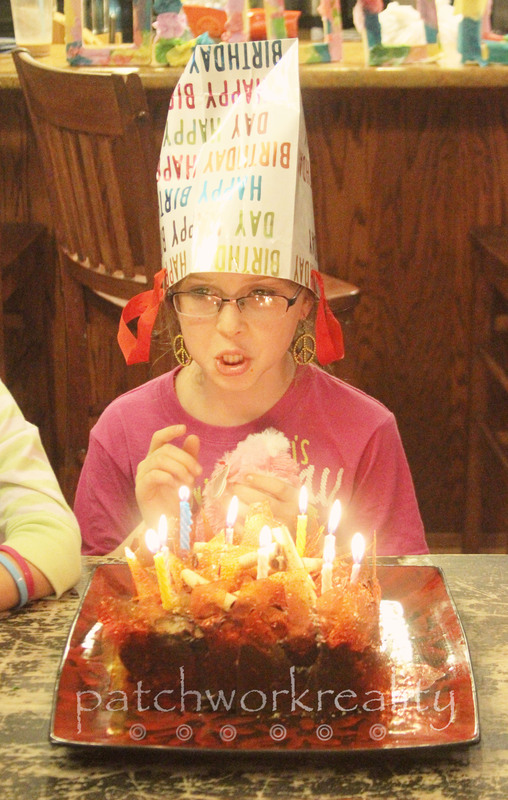 Raiven just celebrated her 9th birthday. We chose to have it at our house and she was allowed to invite up to 9 girls, including her self to spend the night. All but one was able to spend the night, they all came and played, made a craft and had cake and ice cream. We are big campers at our house so we set the tent up, since there was still 6 inches of snow outside, in the base ment, for the girls to sleep in. In nice weather we would have set it up outside. 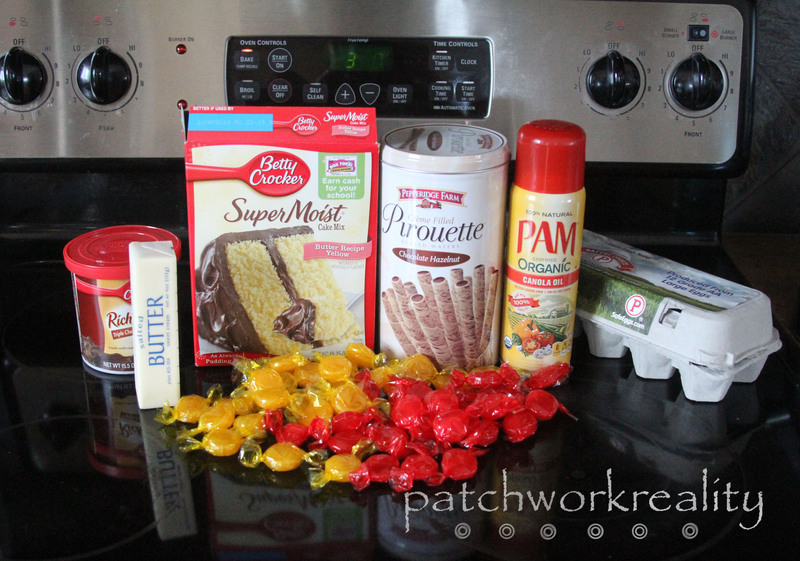 Cake mix of your choice, along with ingredients needed to make cake, which may vary. Pam or non stick spray. Here is how we did it, as always feel free to do what you like and works best for you. Bake cake according to directions on the package. 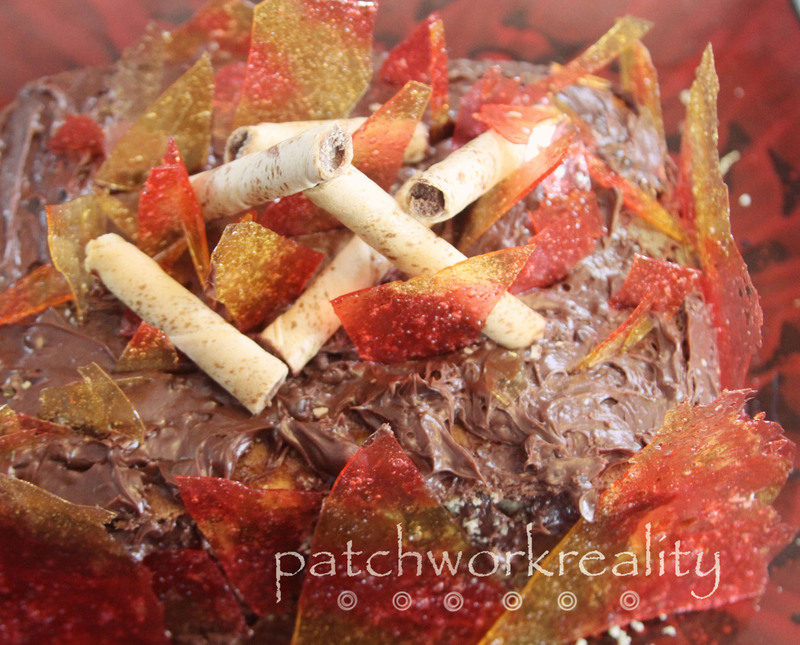 We used a yellow cake it is a favorite, also I thought it would be neat to take some scoops of the cake mix before baking it and add red or yellow coloring and plop them in so when you cut the cake the inside had more of a fire look,…maybe next time. We baked the cake in a 9 X 13, cut it in half and sacked it, you could do 2 round pants as well. Let it cool, frost as you normally would, we used chocolate. Then take the butterscotch and cinnamon hard candies, put them in a baggies and pound them until crushed, almost like a sugar. 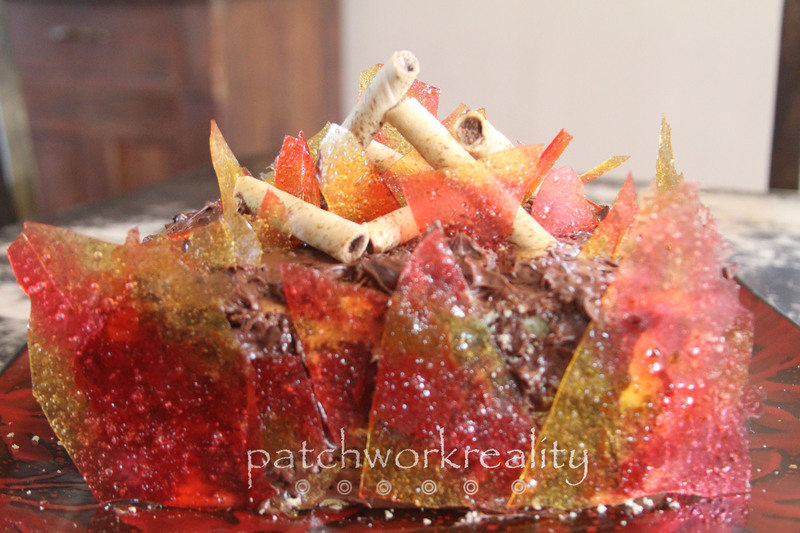 This does not take long 5 minutes or so, it will look a little liquidy and bubbly, also when you melt the candies you can choose how thick to make them which will change the time depending on the thickness. 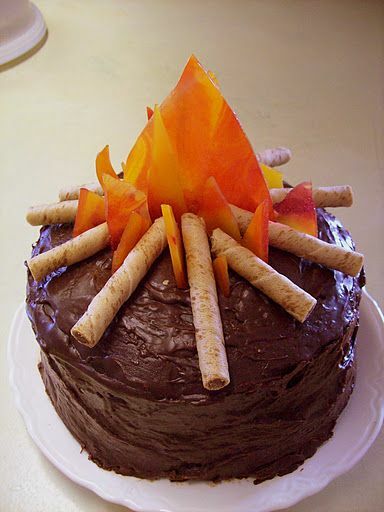 Once cooled, break into pieces and put on your cake however you like, add pirouette cookies as the “loge for your fire. 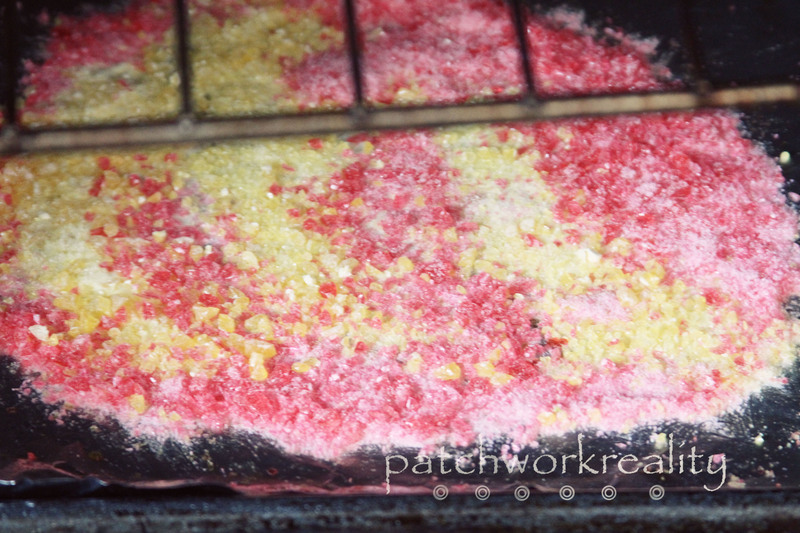 We added fire to the edges, the candy stuck very well to the frosting. Sing with me This cake is on Fi-yah! Momma of 4. Runner. Thrifter. Wannabe good home decorator. Keeper of peace. Adventure Seeker. Whole foods consumer. Thanks for hopping by bun bun. 🐰 Happy Easter everyone! So often when I run past here there are deer. A few times they have crossed my path. Its so peaceful when humans are quieter than vehicles. Chillin and grillin. Delish smoked turkey ala Jon Heise 👨‍🍳. These are the children that use medical cannabis. Click on the faces and learn more about their journey.